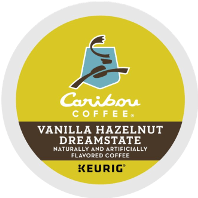 Caribou Coffee's Vanilla Hazelnut Dreamstate is a delicious coffee flavored with vanilla and hazelnut to perfectly complement its medium roasted beans. 100% Rainforest Alliance Certified coffee. 96 Count $59.96 $57.00 On Special!